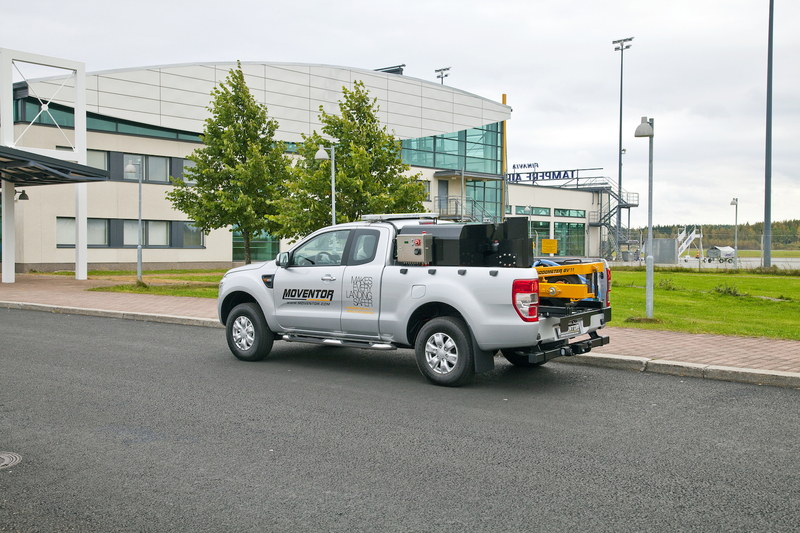 Moventor Oy is a modern, international, strongly growing and developing manufacturing company, highly specialised in friction measurement and the airport equipment business. Our core business areas include developing, manufacturing, delivering and servicing Skiddometer BV 11 friction testing systems around the world and representing EHR- Fahrzeugtechnik Cleaning Systems in the Scandinavian region. 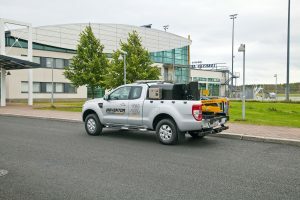 We also provide laser measuring systems to further inspect runway and road surface conditions. Among many information, the well known measures we provide are Mean Profile Depth (MPD), International Roughness Index (IRI) and Boeing Bump Index (BBI). The laser equipment is integrated to same system to get as much data as possible on one measurement. Moventor’s head office and factory are located in Ylöjärvi, Finland. Moventor is committed to providing you products and services that increase the value and effectiveness of your business. Moventor takes care of occupational health and safety excellence. We are committed to protecting the health and safety of each employee, customer and subcontractor. By applying safety features to all our products, every customer benefits from improved efficiency of their operations and increased performance of their business. All Moventor products are designed and built for tough demands. They provide the highest quality, outstanding reliability and performance applied together with newest technology. Based on the highest quality, we can promise our products the lowest life cycle costs in the industry. 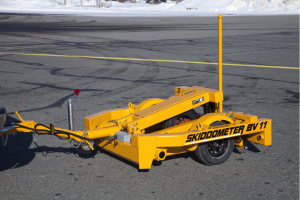 The Skiddometer System is a method to determine the breaking action on airport runways by measuring friction coefficient of surface. It is designed as a trailer towed by any car and incorporates the benefits gained from more than forty years of experience in this field. Skiddometer BV11, the world’s leading Continuous Friction Measurement Equipment (CFME). 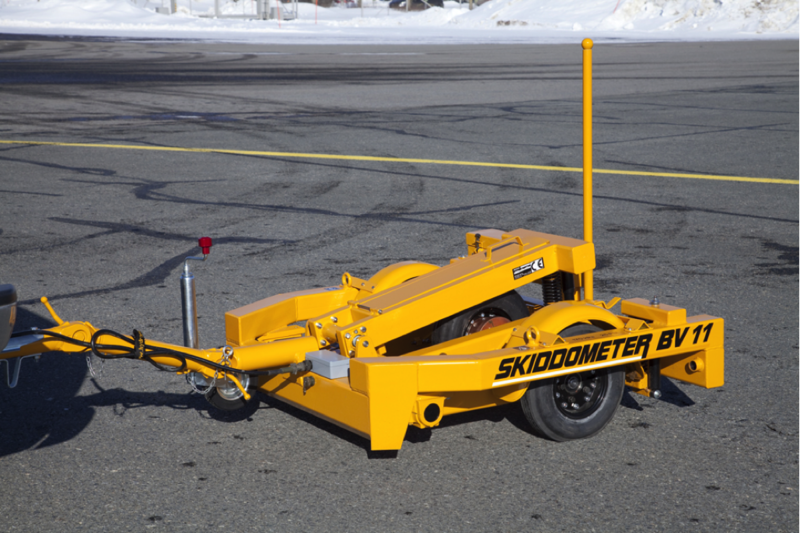 Skiddometer® runway friction testing systems are used today in civil and military operations with close to 400 units. Systems consist of the Skiddometer BV11 trailer and Touch Screen Computer for calculating, recording and printing friction data. Optionally the system can be equipped with “WMS” or “On-Board” self wetting systems for runway calibration, i.e. measuring friction in water depth of 1 mm in accordance with the standards of the ICAO and FAA. 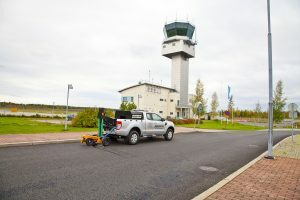 Skiddometer BV11 is approved and recommended by the International Civil Aviation Organization (ICAO) and the Federal Aviation Administration (FAA). 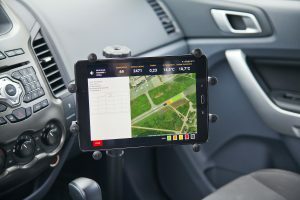 This new and simple construction allows the Skiddometer unit to be installed easily on any brand of pickup truck available on the market without modifications to the vehicle itself. 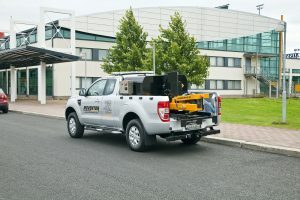 Friction measurement can take place during the worst possible weather conditions, and now any vehicle can be used to perform the measurement, including safe four-wheel drives designed for such conditions. It is equipped with Water OnBoard system. This way all needed functions are carried on always. Together with electrical water pump, all kind of measurements are simple to perform. There are many factors affecting on Runway conditions. Moventor is specialized on evaluating safe landing and take-off conditions on runway. Some of the criteria are based on weather but many are also depending on the actual condition of the pavement. Pavement micro and macro texture are important factors as well as evaluating bumps on the runway with Boeing Bump Index. 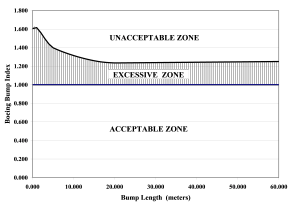 And of course weather and number of landings will cause the friction level going lower on landing areas which is a safety issue. Moventor offers variety of products evaluating these criteria which helps airport operators ensure safe runway conditions in all times. The device is used to measure the road or runway pavement profile and the macro / mega texture. It consists of a beam with a desired length and a laser instrument installed in a car or integrated Skiddometer BV11 friction tester. As a result the surface profile is measured and shown on the display of a Laptop or Tablet computer. The results are also stored in the memory and can be sent to Web Service. The beam is also provided with an inclinometer. EHR-Fahrzeugtechnik Cleaning Systems (Scandinavian representation). EHR Cleaning Systemsmeet the needs of demanding industrial applications. These advanced products are designed for use in airports, municipal engineering and road construction projects. Moventor also offers after sales services, training, and consultancy. All our delivery projects can be provided with different financing options: direct ownership, leasing, or rental. Moventor is a Scandinavian (Denmark, Estonia, Finland, Sweden, Norway) representative for high quality EHR Cleaning Systems. 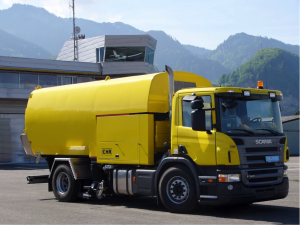 These advanced products are mounted either on a truck chassis or a semi-trailer. They are designed for use in airports, municipal engineering and road construction projects. 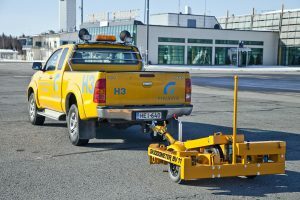 Typical applications are street cleaning, removal of rubber on runways, absorption of airplane deicing fluid on airport apron areas, removal of markings, sucking drainages, etc. EHR Cleaning Systems are manufactured in Götzis, Austria (www.ehr-fahrzeugtechnik.at). All the products are built based on customer specification. The high level of customization is based on a comprehensive range of modular construction kits. This allows creating a product that fits your specific cleaning demands, still cost efficiently. Thanks to its field-proven modular design principle, EHR offers you a well-engineered customized solution. If you have challenging cleaning tasks and expect superior performance, the highest possible product quality, and the lowest life cycle costs, EHR Cleaning System is the choice for you.